Because this is such a simple salad, it’s important to use super-fresh vegetables and top-quality olive oil and cheese. Instead of using ordinary canned anchovies, Chris Cosentino uses marinated white anchovies, which have a fresher, cleaner taste. They’re a staple ingredient at Incanto, his San Francisco restaurant. 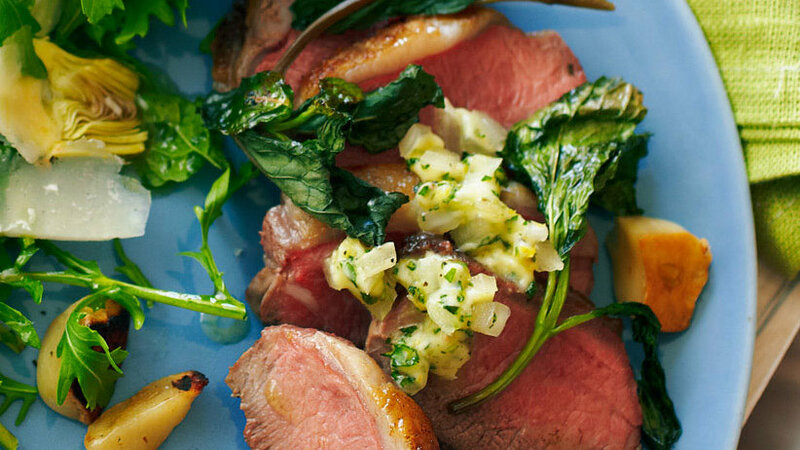 We doubled this recipe so it could serve as a main course. Lamb loins are amazingly tender and flavorful but also expensive; we found that cheaper lamb shoulder roast (although tougher) works too. Just cook it a little longer—about 10 minutes more. 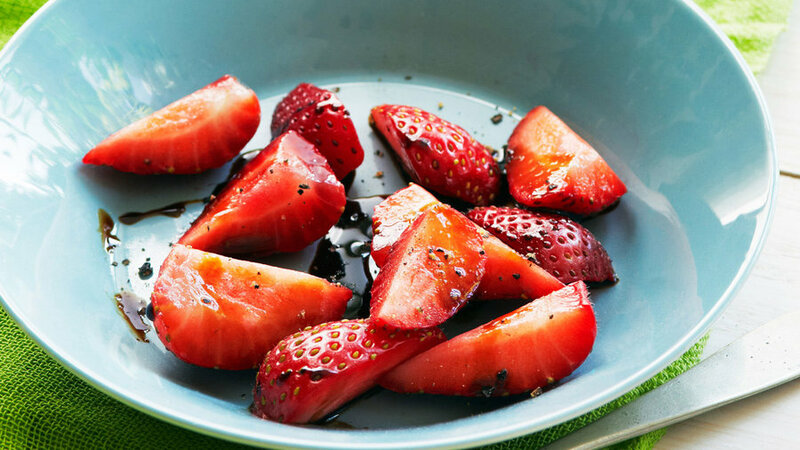 Chris suggests a simple dessert of quartered strawberries drizzled with aged balsamic vinegar and a few grinds of black pepper.